I spend nearly all my time working on a Mac. Given the nature of cross-platform development I do sometimes require use of a Windows machine. 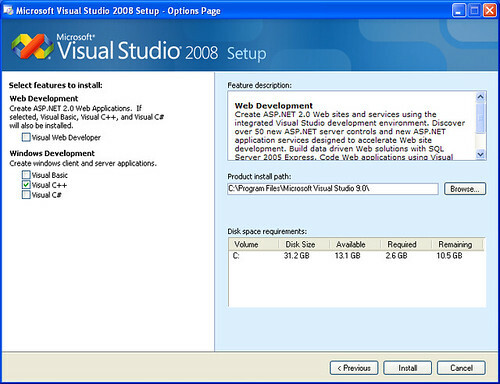 Not too long ago I was upgrading to Visual Studio 2008 when I found a horrible bug in the installer. Project : error PRJ0003 : Error spawning 'cl.exe'. 04/05/2009  09:48 AM    <DIR>          . 04/05/2009  09:48 AM    <DIR>          .. 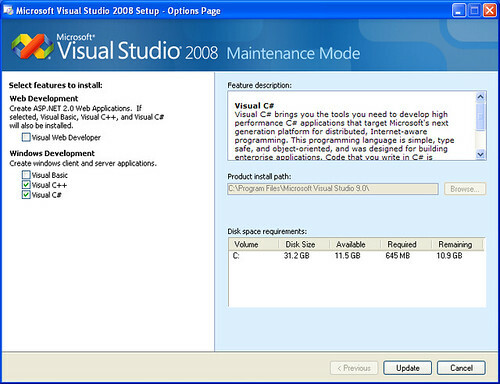 So, no C++ compiler with C++ installation. Perfect. 04/05/2009  10:43 AM    <DIR>          . 04/05/2009  10:43 AM    <DIR>          .. I find it fairly shocking that this configuration was never tested before the bits left Microsoft. Bah. This bit me, too. I will additionally note that the bin/amd64 and bin/x86_amd64 directories did contain cl.exe before installing C# (an aside: why do both of these directories exist? ), just the 32-bit version in .../bin was missing. Thanks Microsoft @_@. But a genuine thanks to you for this post! This is another indicator that Microsoft is pushing all future development to .NET managed code and the super slow MSIL approach. The key concept in MSIL being that it is an "interpretative" code. They would like to see all native code abolished. I had a VB6 (compiled to native) application the ran really fast. When ported to VB.NET it ran so slow that it became useless. Now I am porting it to C++ MFC native. This application produces output for industrial PLC programming that can be imported to various PLC manufacturer's software that only runs on Windows PCs, so I do not need the portability to MAC or other systems that MSIL might provide. I need the speed provided by native code. 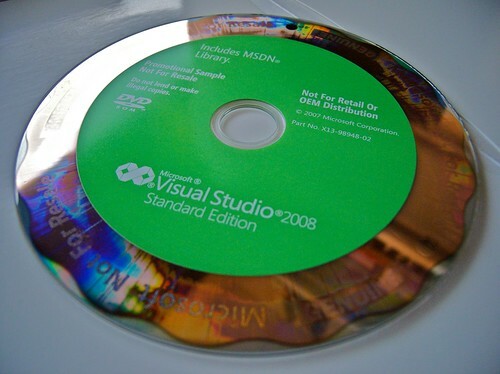 .NET has some great features, but at too high a performance price. I wish the original IBM PC had been built on Intel's RMX-86 operating system that was already designed for multiuser/multitasking with task priority and inter-task messaging. Then the PC would have had a great OS foundation from the start and Bill Gates would be another unknown college dropout. Intel would have made the billions from the sale of software instead of Microsoft, but Intel's high paid executives did not have the foresight enormous market for personal computers and wanted thousands of dollars for the distribution of RMX-86 which made it cost prohibitive for PCs. This is another example of why top executives are not worth their overpaid salaries, bonuses, and stock options. Sorry for the ranting, but Microsoft should never have gotten off the ground if Intel had been half-"intel"igent, and we all would have had far superior PCs today.